With 2014 slated as a municipal election year in Thunder Bay, a group of northern leaders came together to promote women in politics. Women in Politics, a group that encourages participation and voice for women at all levels of government, will host its first forum tomorrow. The Women in Politics Forum aims to foster the political talent and public leadership goals of northern women. 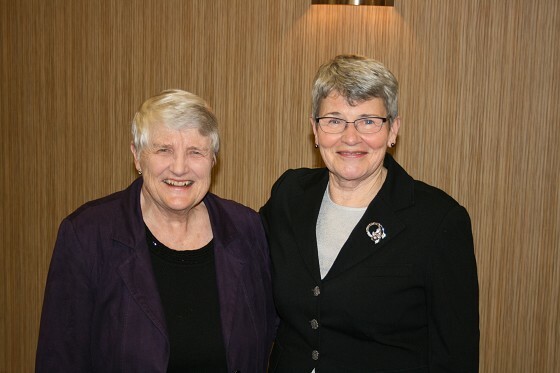 The event featured keynote speaker Lyn McLeod, who served in elected political office both locally and provincially for 33 years. McLeod was the first woman elected as leader of the Ontario Liberal Party in 1992. Says McLeod; "Women are providing outstanding leadership as Premiers across this country. We need to see more of that leadership by women on municipal councils, in legislatures and in parliament"